There are 1 cat videos tagged with rat. People who have musophobia, beware! This video has a rat and a cat but it probably doesn't end like you might expect a relationship between a rodent and a cat to go. Peanut is a rat that loves a cat. 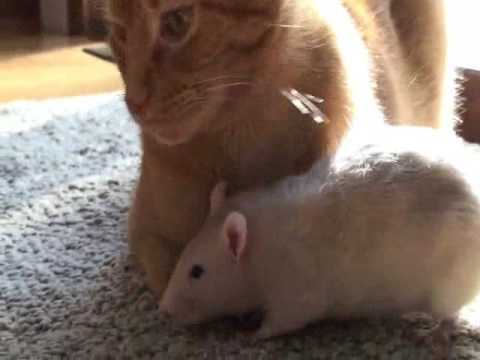 The cat doesn't quite love the rat but does tolerate it.